Volkswagen India is said to be fastracking two products, the compact sedan and the compact SUV. Both products will be aimed at the mass market, intended to quickly round up the “big” volumes for the brand and improve its marketshare in India. The Volkswagen group has been in India for more than a decade now. The group made its Indian entry way back in 2001, with Czech car brand Skoda. The Volkswagen car brand arrived six years later, in 2007, along with luxury German label Audi. Audi has been the most successful brand under the Volkswagen umbrella in India, beating sales numbers of both Mercedes Benz and BMW. The scenario is different in the mass market car segments, with Volkswagen lagging behind in terms of market share. As a standalone car brand, Volkswagen commands just 2.1 % of the Indian car market. For a global automaking behemoth seeking to be the world’s largest automaker, Volkswagen’s Indian numbers don’t make for pretty reading. To change status quo and compete with market leaders such as Maruti Suzuki and Hyundai, the compact sedan and compact SUV from Volkswagen will be positioned as vehicles that are affordably priced but ones that retain an air of premium-ness, which has been the signature of Volkswagen cars sold in India. The compact sedan will use the PQ25 platform that underpins the likes of the Polo hatchback and the Vento sedan. A sub-4 meter vehicle, the Volkswagen compact sedan will be sold with turbo petrol and turbo diesel engine options. The new, 1.5 liter-4 cylinder turbo diesel engine that is now available in the Polo and the Vento, will power the sub-4 meter Volkswagen compact sedan. The other engine in question is likely to be a 1.2 liter turbocharged TSI petrol unit, which will seek to underscore the premium positioning of the compact sedan. A market launch of the compact sedan is likely to happen as early as 2015. 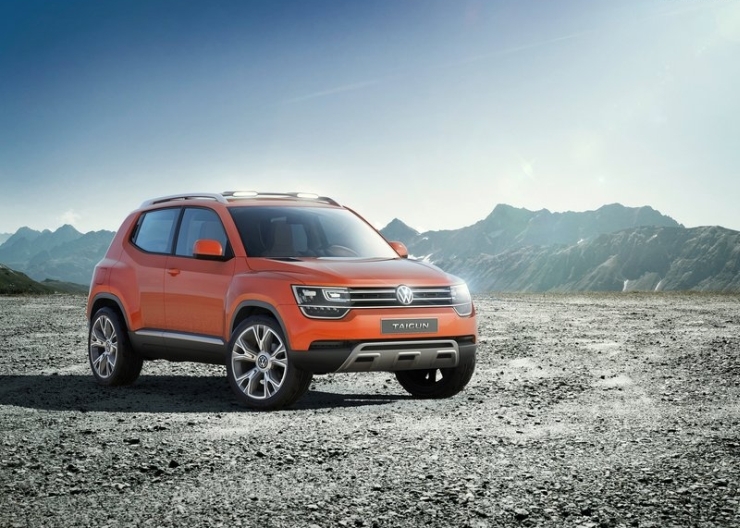 The other big plan from Volkswagen involves a compact SUV. Even as you’re reading this, Volkswagen has hit the drawing board and is in the process of choosing a platform for its compact SUV offering. The toss is up between the PQ25 platform of the Polo and the MQB platform that will host the next-generation Polo and Vento. One of these platforms are likely to underpin the compact SUV from Volkswagen. Expect a sub-4 meter length, turbo petrol and turbo diesel engines, and premium positioning to be hallmarks of the Volkswagen compact SUV. A 2016 launch could be on the cards given the urgency at which Volkswagen needs new vehicles for the Indian market. Until the compact sedan and compact SUV make the launch queue, Volkswagen will persist with refreshes of the Vento and Jetta, and the all-new 2015 Passat luxury saloon.